Our team is not only warm and friendly, but they are highly-trained with a wealth of experience—some with more than 30 years of service. We take great pride in providing a high level of personal attention during your stay. Get to know us before you arrive. 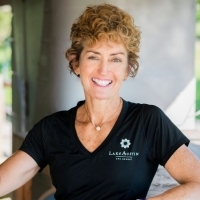 Janis oversees all aspects of operations at Lake Austin Spa Resort. 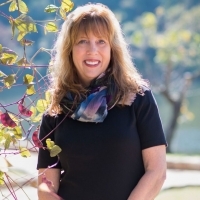 With over 30 years of experience in luxury hospitality and a Masters Degree in Organizational Management from Antioch University in Santa Barbara, Janis’s primary focus is providing excellent customer service. 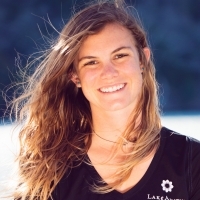 Previously at Ojai Valley Inn and Spa, Halekulani Hotel and San Ysidro Ranch, Janis joins our team ready to provide an atmosphere where innovation thrives. Jeff joined the resort’s 220-member team in March 2018, and brings over 20 years of experience with a strong emphasis in the luxury hospitality industry. 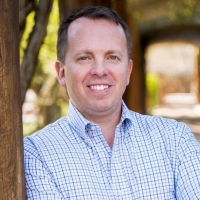 As Director of Sales and Marketing, he oversees all aspects of marketing for our 40-room resort as well as the 25,000-square foot LakeHouse Spa. 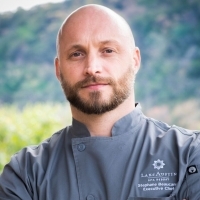 Chef Beaucamp brings together clean, fresh, sensible, and flavorful foods, artfully prepared to please a variety of palates. Flavor profiles combine organic herbs and vegetables from our on-site gardens and locally sourced ingredients, all with a sophisticated French flair. Previously, Chef Beaucamp has prepared meals for Charlize Theron, Elton John, Renee Zellweger, Adrien Brody and Nicole Kidman. Mingling with celebrity chefs and chatting with New York Times best-selling authors is a daily occurrence for our Director of Programming. Robbie goes to great lengths to find inspirational and educational speakers and guest presenters for programs like Culinary Experience, and the new Artist Series. She brings a wealth of knowledge that spans 26 years and is always on the hunt for interesting topics for our guests. Cindy’s love for the lake is apparent in all things she does. 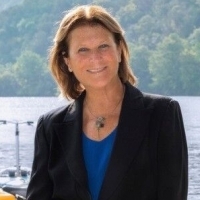 Cindy has pursued a lifetime of sports and fitness with a contagious spirit for water, the outdoors, and motivating others. She also understands the mental, emotional and physical power that nature and water has on personal wellness. 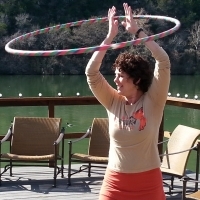 She has Masters Degrees in Health Promotion and Journalism from the University of Texas at Austin, and has been working with resort guests for 27 years. 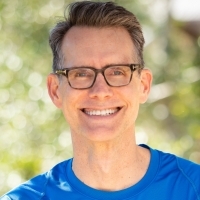 Classes: SUP Yoga, Yoga Basics | Discussion and Practice, Feel Good Yoga, Pranayama | Meditative Breathing, Gentle Flow Yoga, Functional Freestyle, Yin Yoga, Yoga Nidra Meditation. Expertise/Experience: Shannon received her education from Louisiana State University and completed an internship at Louisiana Tech University. 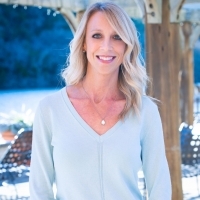 She has over 16 years of experience in all areas of nutrition in the settings of clinical, wellness, consulting, teaching and public speaking. Personal Wellness Philosophy: Food should be enjoyed, not feared! A positive relationship with food and learning to listen to your body can greatly improve your health and well-being. Eat well to live well! 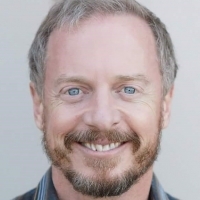 Experience: Studied Tai Chi for 9 ½ years under Master Stan Rossi and has taught for 6 ½ years. Earned numerous gold medals from national and international Tai Chi tournaments. Pioneer of Aquatic Exercise Programs in Mexico. 28 years of experience as an Instructor, Trainer and International Conference Presenter in Mexico, Spain and the United States. 10 years as a Specialist Trainer for the Aquatic Exercise Association (AEA) providing certifications to instructors. Translation of the Aquatic Fitness Professional Manual by AEA (first and second editions) to the Spanish language. AEA Provider for Continued Education Credits. Certifications: AEA Certified Group Instructor, AEA Provider, AquaStretch Facilitator, AquaStretch Trainer, AFAA Group Exercise Instructor, Cooper Institute Certification, ACE Group Fitness Instructor, Bachelors Degree in Public Accounting. Personal Wellness Philosophy: Smile daily and keep moving. Personal Wellness Philosophy: Focus on adding positive healthy changes and practicing consistently. 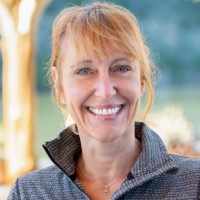 Julie has worked in the wellness industry and been devotedly living a holistic lifestyle for more than 25 years. 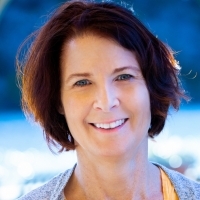 Julie believes our most valuable wisdom comes from the experience of our own life. She likes to remind herself and others that the word inspiration comes from the Latin verb inspirare, which means to ‘breathe into.’ She believes every experience we go through in life, whether challenging or enjoyable, gives us an opportunity to breathe into it. 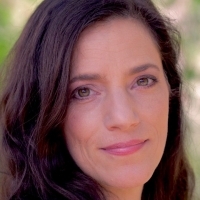 Julie has a passion for peacemaking and conflict resolution and is a certified mediator. 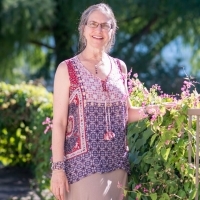 She believes devoting time for compassionate communication, and committing to building and sustaining healthy relationships, is integrally connected with living a vital and fulfilling life. 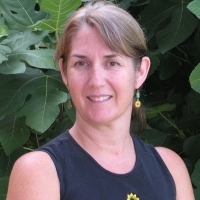 Julie has developed a keen interest in health and healing. 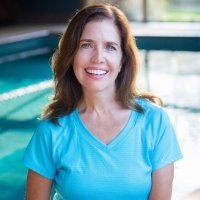 Having recovered from a long term life-threatening autoimmune disease, she loves to encourage others to find their own healing through patience, hope, incorporating a healthy lifestyle, and finding meaning in all circumstances. For a private appointment with Julie, please contact the activities desk. Personal Wellness Philosophy: The body is malleable by the mind.